Worry-free hotels! 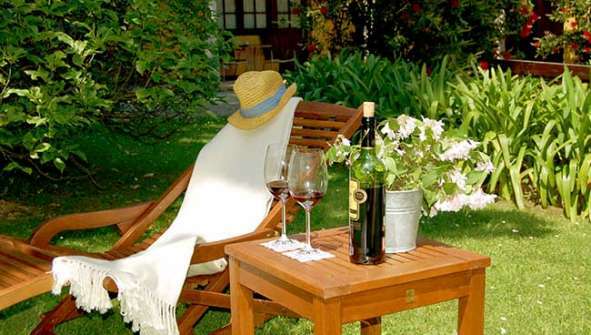 Country houses, hotels, accommodations and apartments where you don´t have to take care of anything! Are you looking for Hotels, Country houses, chalets, lodgings or apartments tto fully relax and forget about it all? Rusticae has selected the best carefree hotels for you! If you are looking for a hotel with the sole purpose of resting and being pampered, you are in the right place. In this category you will find the ideal hotel for these needs. Hoteliers can provide you with a foam bath, a massage, music, a drink on the terrace or a tasty dinner prepared with local products. There are so many possibilities! In this category you´ll also find hotels with magnificent spas, thermal baths, saunas, jacuzzi or Turkish baths. Perfect for those who love to treat themselves. And if you want to take a different path, we also have hotels that focus on well-being. For example yoga and meditation sessions, or a spiritual retreat. Have a look in this category and get inspired! Want to get away from it all and completely relax yourself? Let our hotels take care of you!